Despite the lack of funding for the arts when compared to Europe, the U.S. has scores of wonderful art museums and galleries within its borders. All major cities have at least minor offerings, and admission to these museums is often inexpensive or completely free. One of these free museums is the Menil Collection in Houston, Texas. The Menil, as it is called, is a collection gathered by John de Menil and Dominique de Menil over the course of their lives. It houses a wide range of art from modern paintings and pop art to sculptures from ancient Byzantium and African tribal works. Some of the pieces are more than 3,000 years old. Another museum where admission is free is the National Gallery of Art (NGA), located in Washington D.C. This museum was established in 1937 and is is regarded as one of the finest art collections in the entire world. The NGA is home to the only Leonardo da Vinci painting in the United States and boasts a 6.1 acre sculpture garden. Many of the best art museums in the country are found in New York City. NYC is home to the a Museum of Modern Art, the Solomon R. Guggenheim Museum, and The Metropolitan Museum of Art. The Metropolitan Museum of Art, called the Met for short, was founded in 1870 and has grown to more than 2,000,000 square feet. 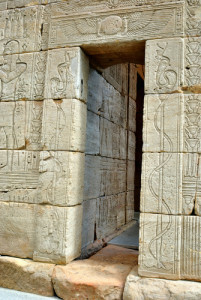 It’s home to an actual Egyptian temple that has been on display there since 1978. Admission is donation based and follows a “pay what you want” model, though the recommended donation is $25. The appreciation of art is one of humanity’s most enduring characteristics. Seeing art from other eras in our species’ lifespan can be a beautiful and humbling experience. Have not heard of the Menil Collection in Houston, but I plan to visit soon. Thank you or the information.